Everyone knows I'm obsessed with DiCarlo's. Wellsburg's, specifically. But I won't discriminate. I'll take any DiCarlo's location over just about any other pizza. 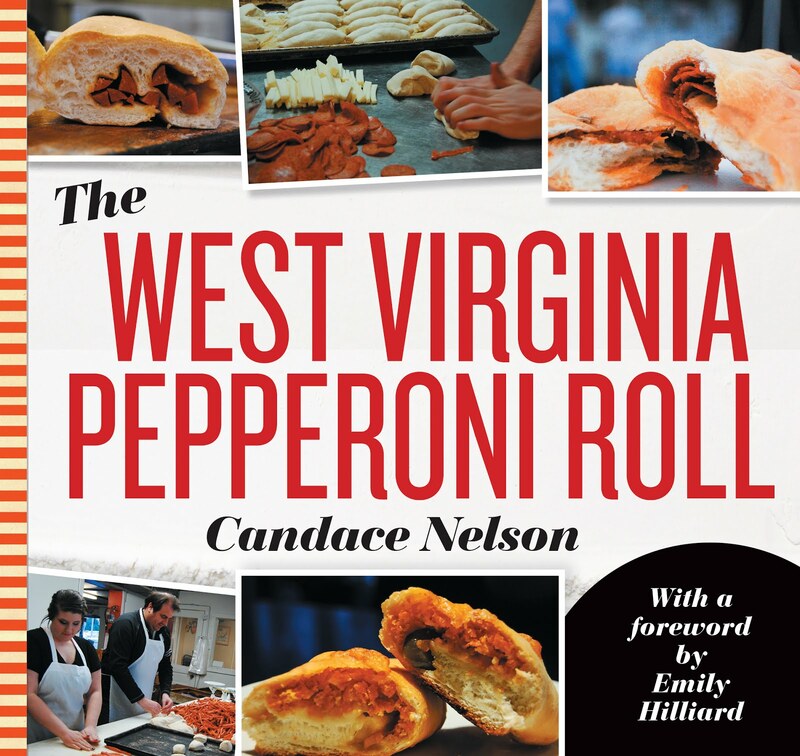 In West Virginia, there are several DiCarlo's locations - mostly spread throughout the Northern Panhandle. While I have access to both Follansbee and Weirton DiCarlo's (I'll have to go there soon) whenever I'm home, it's rare I get any further south. 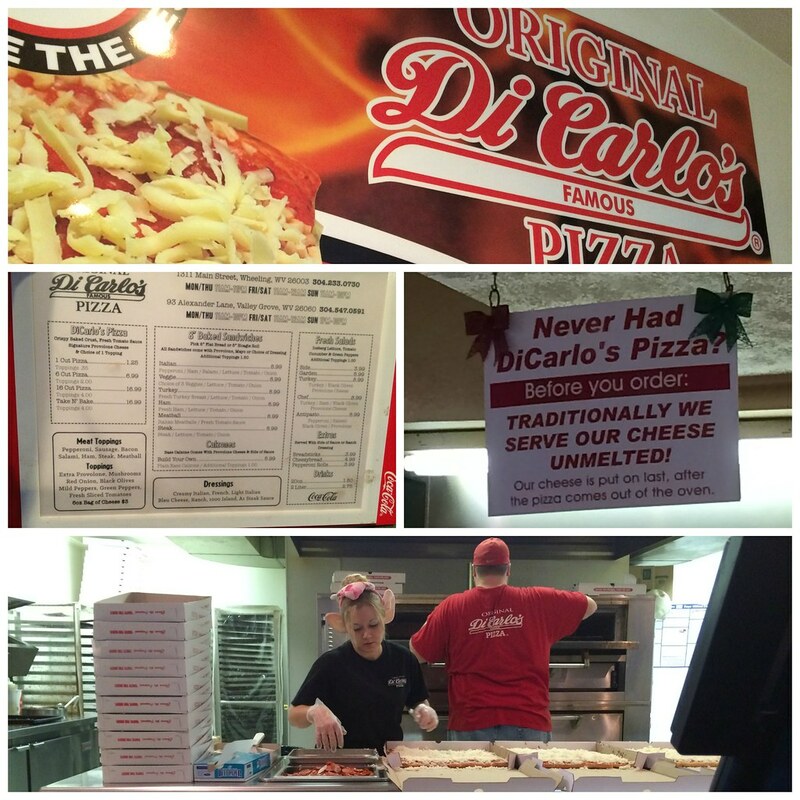 Recently, I met my mother in Wheeling for lunch and drove up north toward home, so I was able to hit THREE different DiCarlo's along the way. One of these days, I'll make it to all of them. 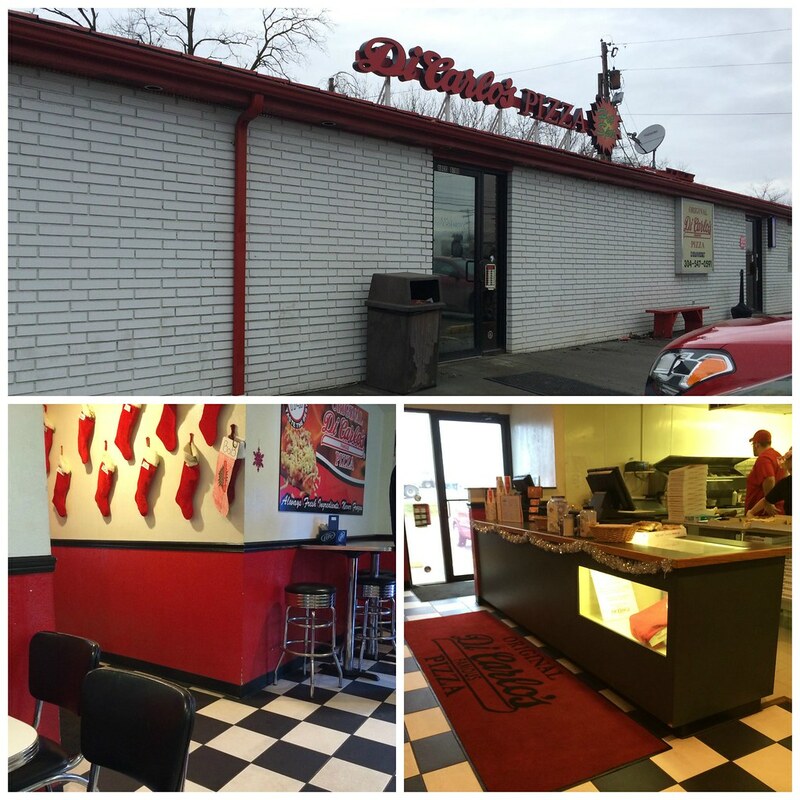 But first, the DiCarlo's located on Dallas Pike. Technically, its located at 93 Coventry Road in Valley Grove. I kind of stumbled upon it after seeing the sign on the road, but a series of lucky turns pointed me right there. FYI, once you get off the exit, turn toward the gas station, and it sits back behind there. Fairly easy to find, actually. When I walked in, a guy in front of me had ordered eight pizzas. So I was waiting a bit before they got to my two measly slices. It was also interesting to see a whole dining area and a menu that included sandwiches and salads. Definitely not used to that. The pizza, though, still good. 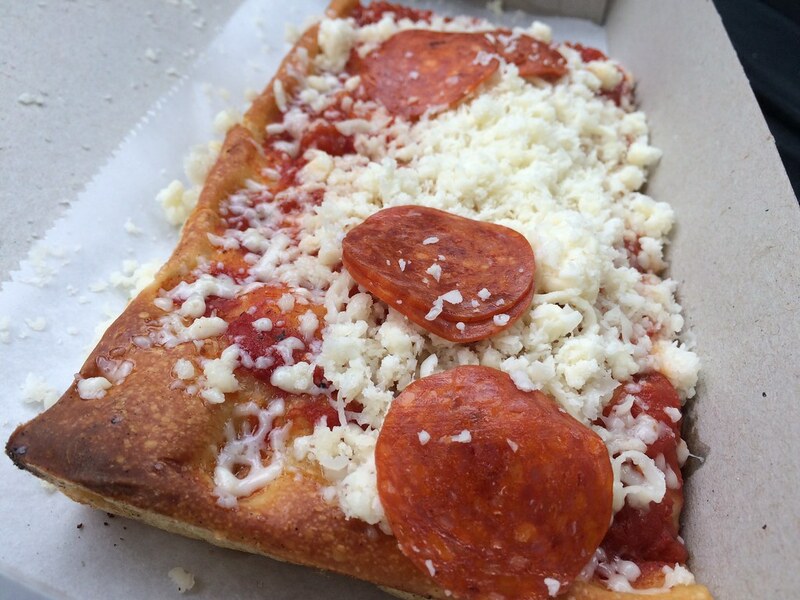 The crust was a bit poofier than what I'm used to, but there was plenty of cheese, so I like that. Just a tad different, but still very, very good. That nice golden crust, slightly spiced sauce and a ton of freshly grated mozzarella. Doesn't get much better.